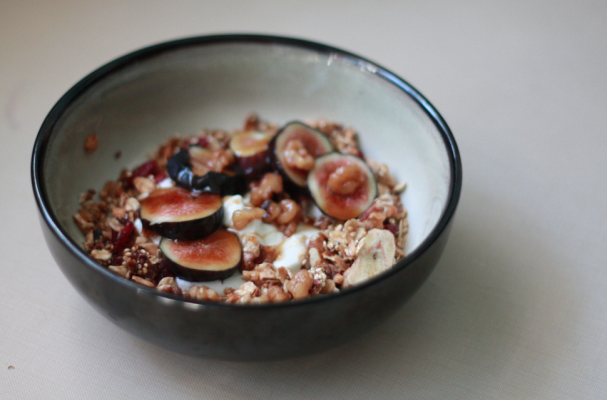 If you have any remaining matzo from Passover, matzo granola is a genius way to make use of it. Whole wheat matzo is toasted with a variety of nuts and tossed with a brown sugar and honey mixture. The granola is baked until the syrup has set and caramelized. At this point you can toss in whatever dried fruits or chocolate you like. This recipe suggests raisins but I particularly like apricots and shredded coconut. You can give your homemade matzo granola as a gift or enjoy it with yogurt for breakfast.